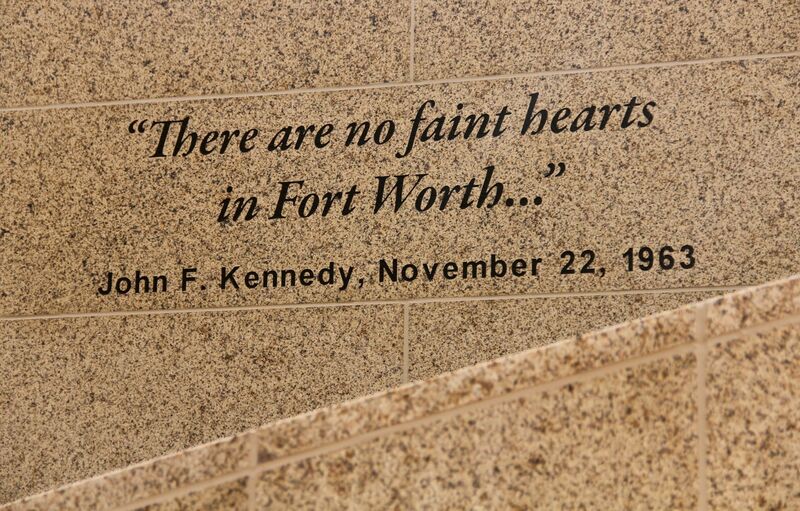 Some 49 years ago President John F. Kennedy came to Dallas-Fort Worth for an official presidential visit. 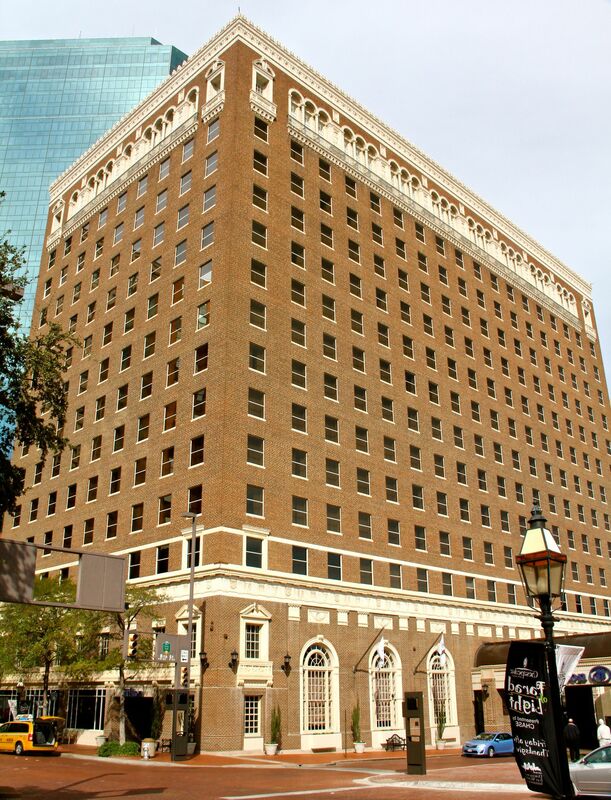 On thenight before his assassination in Dallas, JFK and the First Lady stayed at the downtown Hilton in Fort Worth. 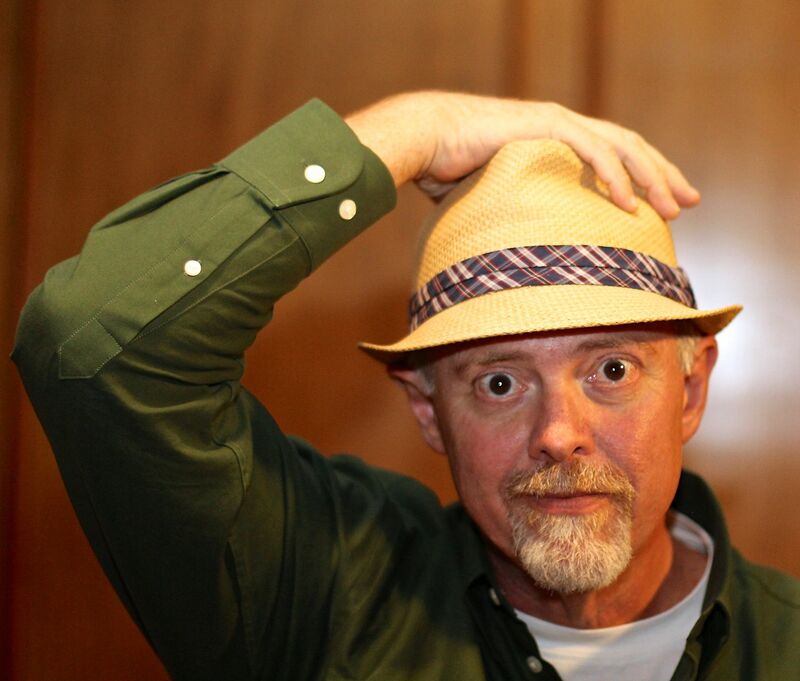 It was there he gave his last public speech…. 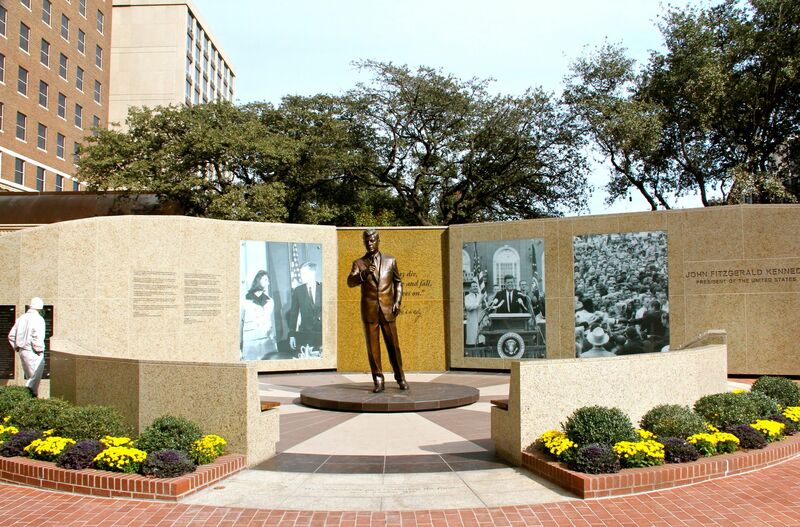 Last Thursday, the City of Fort Worth dedicated a small urban park next to the Hilton in his honor…. 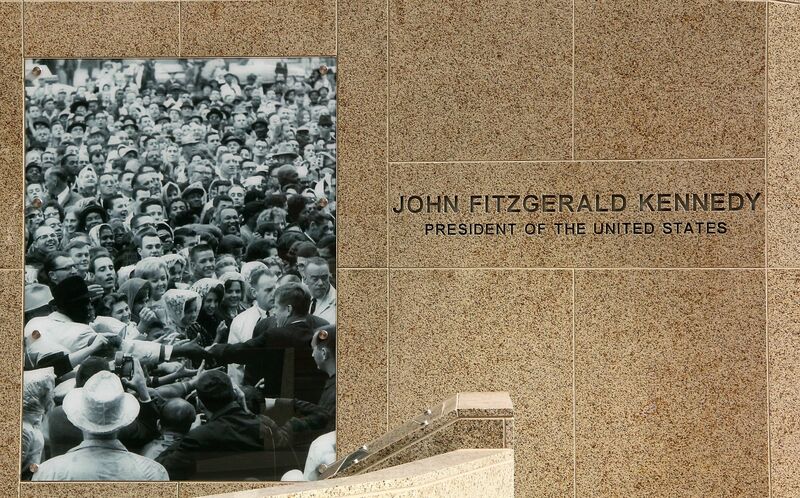 JFK stands in the plaza, larger than life (8′ height bronze statue). 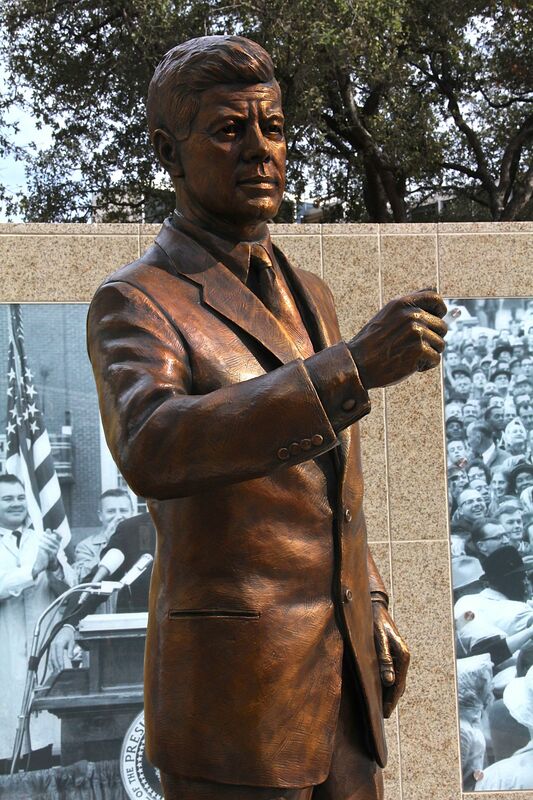 Fort Worth welcomes it’s newest park…with little fanfare yet proud to showcase not only the tragic history, but that of a leader, his hope, and the man. 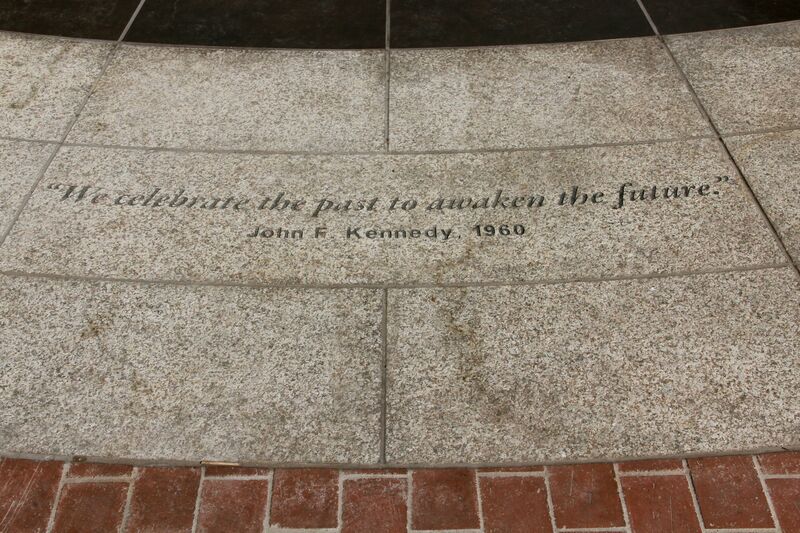 The Park walls and pavement is adorned with several of his quotes…. Some of them eerily ring true, so close to home…. 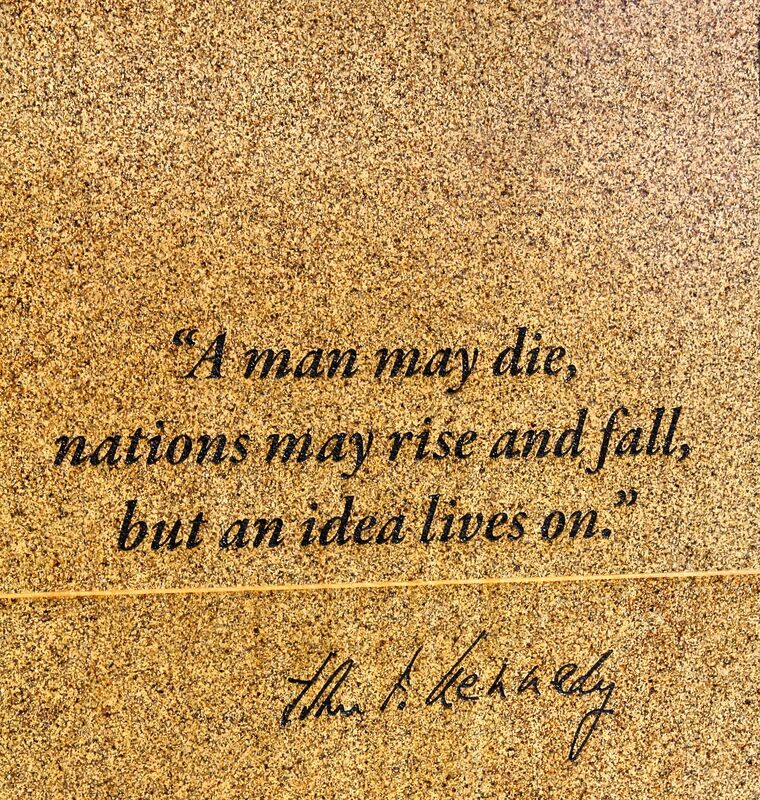 On the pavement in front of the bronze statue is this quote. Fort Worth has now celebrated their place in presidential history, so what might the future bring? Lights in the Park trees – symbolism for the Park perhaps? Thank you. My wife and I regularly stay in that very hotel on our anniversary, so I’m looking forward to viewing that park. Thank you…and I suspect this small park takes on a whole different personality at night with the lighting they have in place. I’m currently reading “Killing Kennedy,” and I’m finding O’Reilly’s book way more interesting than I thought I would. 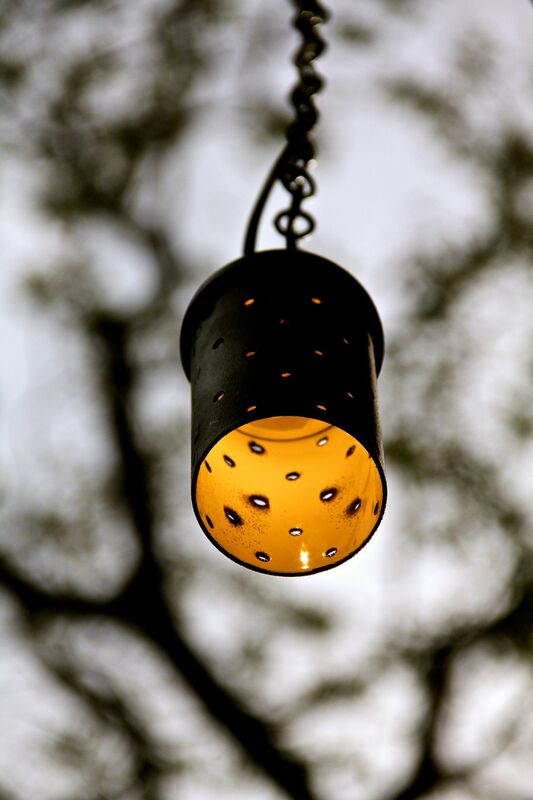 Your post is timely for me, and I enjoyed your pictures. Love the last one.